Starting today, State of Digital will be transforming the training industry. 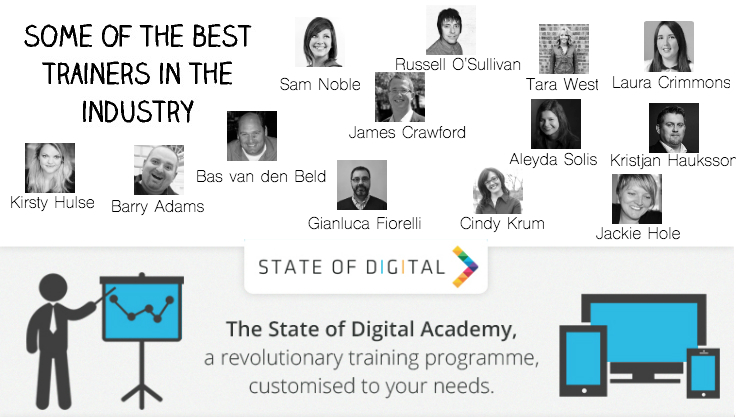 We are launching a revolutionary new training programme: The State of Digital Academy. The Digital Marketing world is changing at high speed. A lot of marketers are trying to stay up-to-date by reading articles and books, monitoring social media, attending events and conferences as well as signing up for training courses. The biggest problem is that many marketers just don’t know where to get the best help and advice to develop themselves further and become the marketer that they want to be. Yes, they can find training sessions, yes they can go to events and conferences but all these have one major issue: they are too generic. 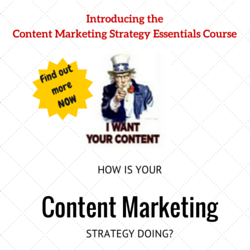 Courses and events are designed for the market, not for individual circumstances. 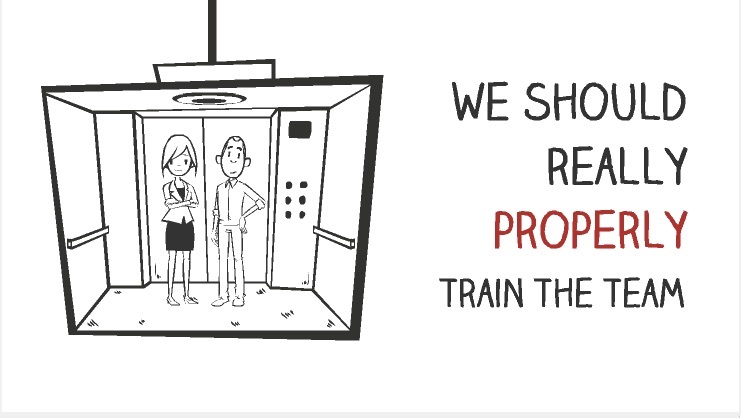 As a result many businesses struggle to get their teams trained to the level required. The ‘one size fits all approach’ training courses offer does not meet the requirements that most businesses have. They only touches on certain elements so the marketer on the course doesn’t get what they need out of it and the course is often not worth the money it cost. State of Digital has launched a revolutionary new training programme: The State of Digital Academy. This will not only guarantee a better quality of education, it will make sure the content and training provided makes it worth every penny. How? By customising the training session to the learners needs. Training is bespoke to the individual or company booking the course. Our idea originated from the KoozAcademy which was launched by Koozai back in 2013. 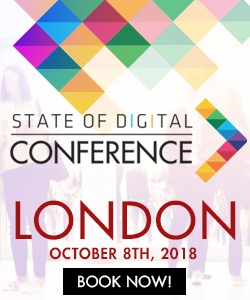 Have a read about their initiative here and you will see why we at State of Digital want to take it one step further and make something similar available to anyone. We loved the concept so much we wanted to build on it and luckily Koozai lets us! Using high level trainers with hands on experience in the industry, State of Digital offers customised training to agencies, brands and in-house teams. Trainers will come to the offices of the trainees. They will spend time getting them completely up-to-date with the topics they actually need to gain knowledge on and the course will be fully customised to the group sitting the course.